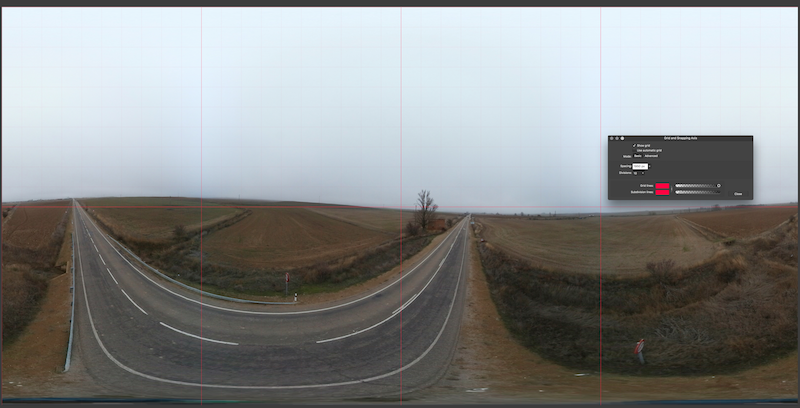 I am using Affinity photo to correct already stitched 360 panorama photos (8000x4000 pixels) using the Live Equirectangular Projection. I use a grid to get a straight horizon guide. For this I need grid spacing of 1950 pixels. Currently the slider's maximum value is 256 pixels. I am allowed to enter 1950 by typing and this works for one photo. But the value does not stick. I have to enter this for every photo I open. Is there a way to (hack a plist somewhere?) get this 1950 value to stick ? Or could you remove the 256 max value restriction in a future update ? Check the two pics that illustrate this thing. Thanks for listening. 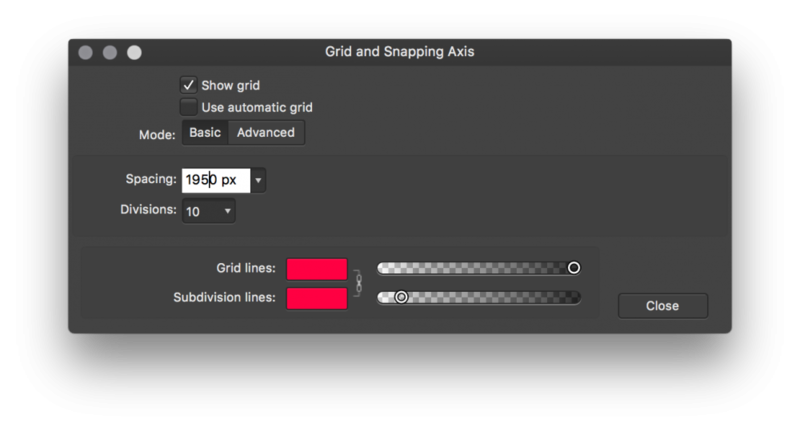 There's no way to make the value stick but you can create a macro to quickly set the grid to the value you need and turn its visibility on which you can then save to and run from the Library panel.